The word Altruism means loving other living beings. Being an Altruist during my lifetime, I was trying to find out what people need to live happily because since the ancient times quarrels between tribes and the people outside have been carried on up until today. Therefore, I put all my attention to the structure of nature where all of those said beings live in harmony as they depend on each other. During this search, I have found out what binds these groups into one unity – Altruism. Altruism is the hidden engine in trees and other plants that make them provide food for all living beings. Altruism is the bond that binds parents to spend a part of their life for the well-being of their children, and incites neighbors to help each other. People are not aware enough about the secret motives of their daily actions. Now, they have lost contact with nature and do not find any more time to reflect about the real basics of their life. This is why I wrote a book in which I describe the way I discovered how essential altruism is, and its important process of keeping each other alive. In my book, I also try to give the readers an insight about the teachings of many religions. Nowadays, religions are still the main obstacle in communities to propose the same guidelines of behavior for all humans based on our actual knowledge and logical thinking to form a community that lives in harmony. Therefore in this book, I try to find ways to unify the different visions of those religions; I appeal to different religions to reunite and to seek ways to adjust their theories in order to overcome practical needs and knowledge. With a series of challenges and hard work, I have experienced wealth and I have realized how money and the authority it provides, can shape a person into becoming someone who is insensitive to the sentiments of others. They feel so superior and want more and more of the same thing. In my story, I explain this contagious experience that affects the powerful. This is also the reason for the imbalance between the rich and the poor in the world. I write how I have experienced that altruism is the antidote for this kind of evil. It was a long way back. Publisher : Books on Demand Philippines Inc.
Life gave us up side down, but what matter is that God always given us a chance to change and to have another start. Always believed have faith, value and cherish every moment you have. Life is too short to be unhappy. Trust God everything happened for a reason. In this book you will see the different view of happiness, real happiness perhaps. Very interesting and inspiring. My friend recommended this book. The book is so rich in information about the welfare of individuality and nature, which was very interesting to read. A careful and detailed book, the author shared his own experiences to deliver the message about Altruism. I think this kind of book should be in bookstores and universities so that students and professors could read this book. I believe that students specially those who are taking up Psychology, Theology or Soxiology might appreciate and can gain knowledge on what altruism is all about – why do we even need to know Altruism. Good book and author! The author is so courageous to confess his life experienced. It gives a life lesson! Yes, indeed we are experiencing turmoil: insufficient food, water, clean air etc. The natural and human disaster increases each year and the main reason egoistic human beings. 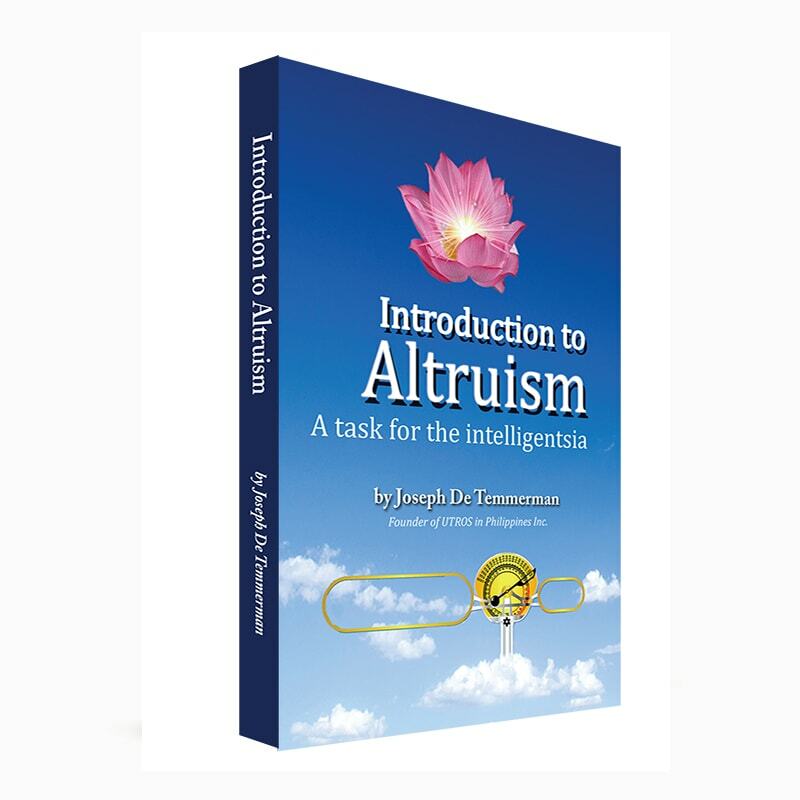 This book that talks ALTRUISM challenge us to think and act in altruistic way as a bridge to connect living being to maintain and sustain the balance of life.